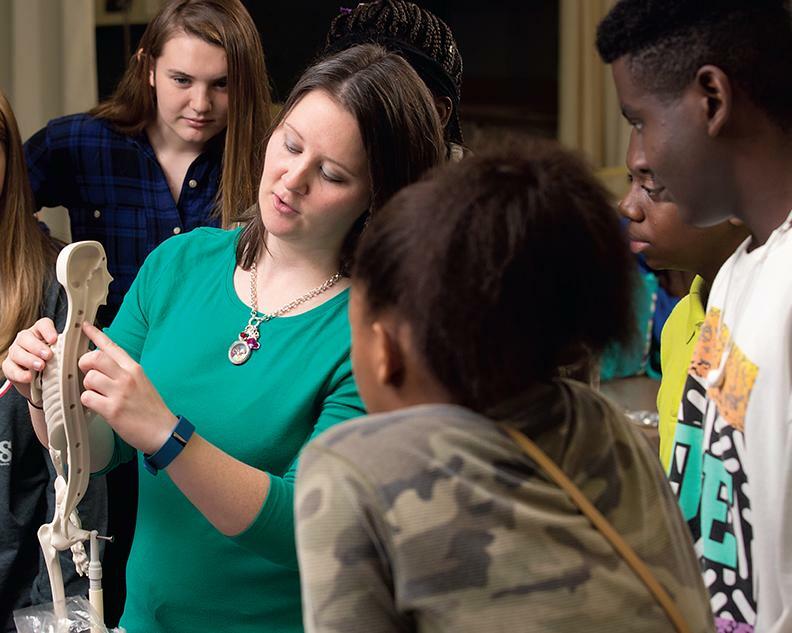 Imagine high school classes that show students how learning connects to life and work outside the school walls. 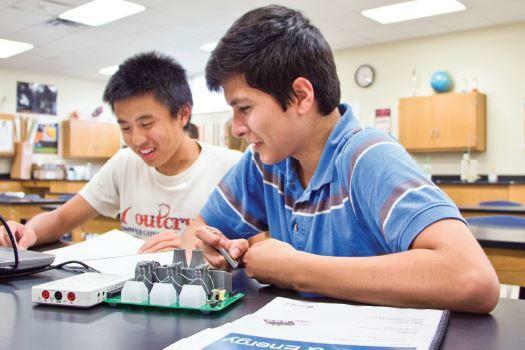 Hands-on team projects allow teens to test drive careers in high-demand fields while they learn rigorous academic math, science, reading and writing, and technical skills. Real-world learning to prepare students for further study and a rewarding career is what SREB Advanced Career is all about. Students who might lose interest in a traditional course sit up and take notice when teachers help them master skills and knowledge they recognize as practical and meaningful to their future lives. 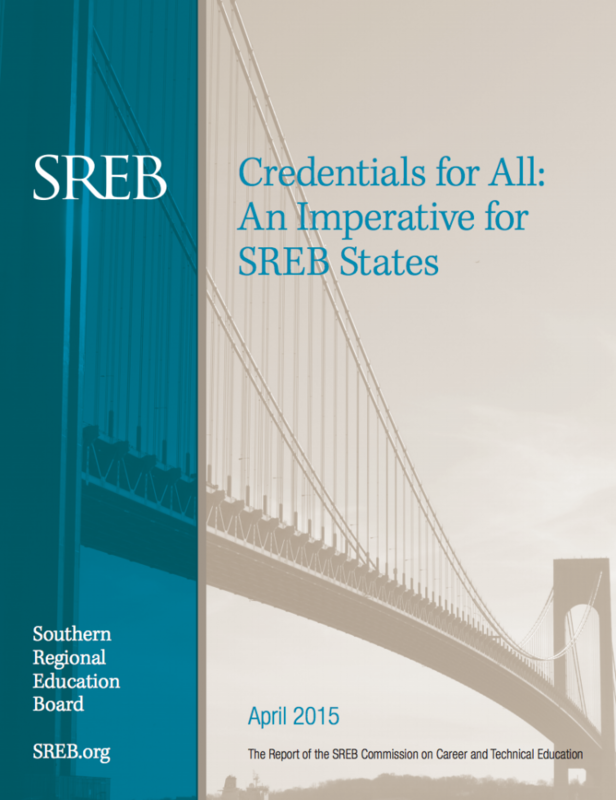 Advanced Career is the culmination of years of work by states and the nation’s largest school improvement network at SREB. The result is turnkey pathways with everything a school needs to be sure they work, from curriculum to assessments to extensive training and support for teachers. 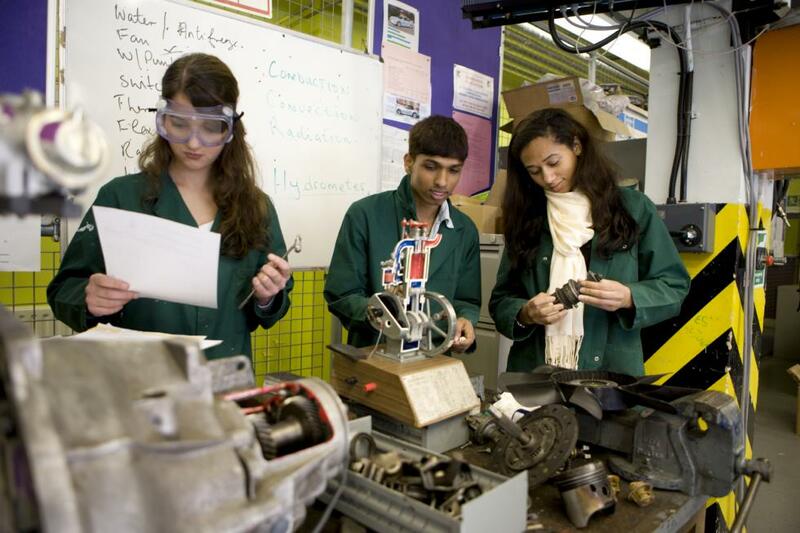 Each course in these pathways is hands-on, rich with projects and intellectually demanding. 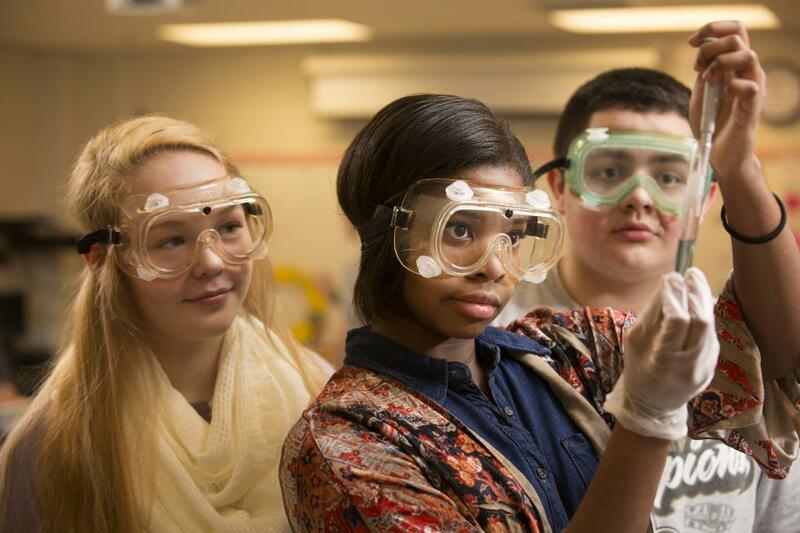 And all require application of college- and career-readiness standards in reading, writing, math, science and other areas so the students are ready for postsecondary study. Students master complex academic and technical concepts and graduate ready for the workplace, technical colleges and universities. 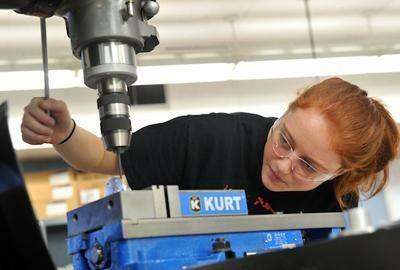 Research shows that career academies — small learning communities in which students take academic and technical courses as a cohort with dedicated academy teachers — not only help students transition to college, but also improve their labor market outcomes, according to studies conducted by MDRC. 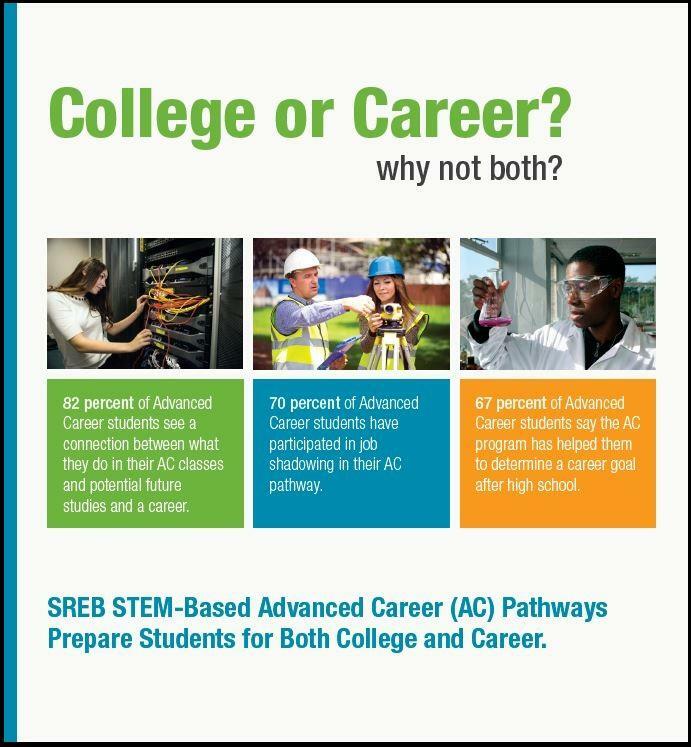 High schools and technology centers that join SREB’s AC STEM Pathway Academy Network find that career academies naturally complement their existing efforts to improve instruction and engage students. Originally published on the U.S. Chamber of Commerce Foundation blog. 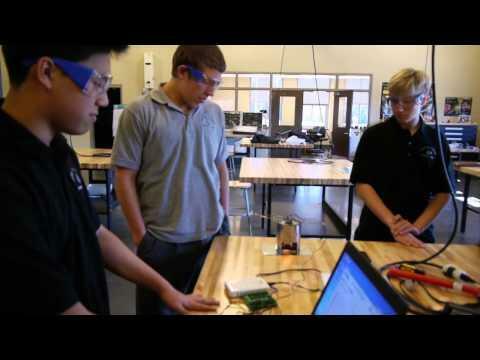 What goes on in the Advanced Career classroom? A lot of math. Intense researching and reading. Most importantly, learning. The type of learning that remains in the forefront of students’ minds as they apply it to practical, purposeful projects. 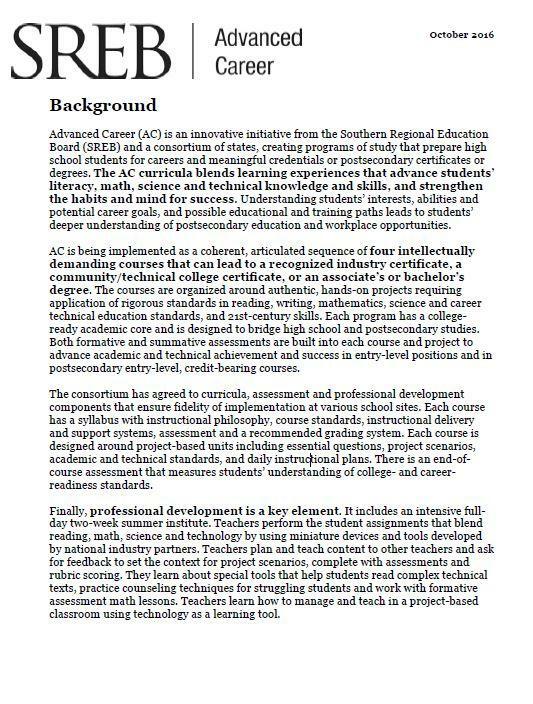 Advanced Career is an innovative initiative of SREB and a consortium of states to create career pathway programs of study that prepare high school students for careers and meaningful credentials or postsecondary certificates or degrees. Beth Green leads the Advanced Career initiative at SREB, where she is responsible for implementing AC in states, districts, and schools. She provides leadership for AC implementation, coordinates activities and staff, and organizes and implements AC professional development. 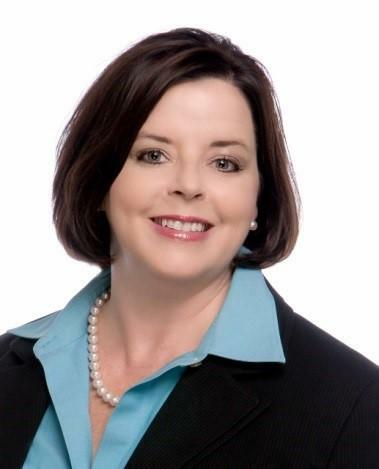 Beth joined SREB in 2007 as a school improvement consultant, later facilitating AC curriculum development, and began development of a network of schools implementing AC through academy design.